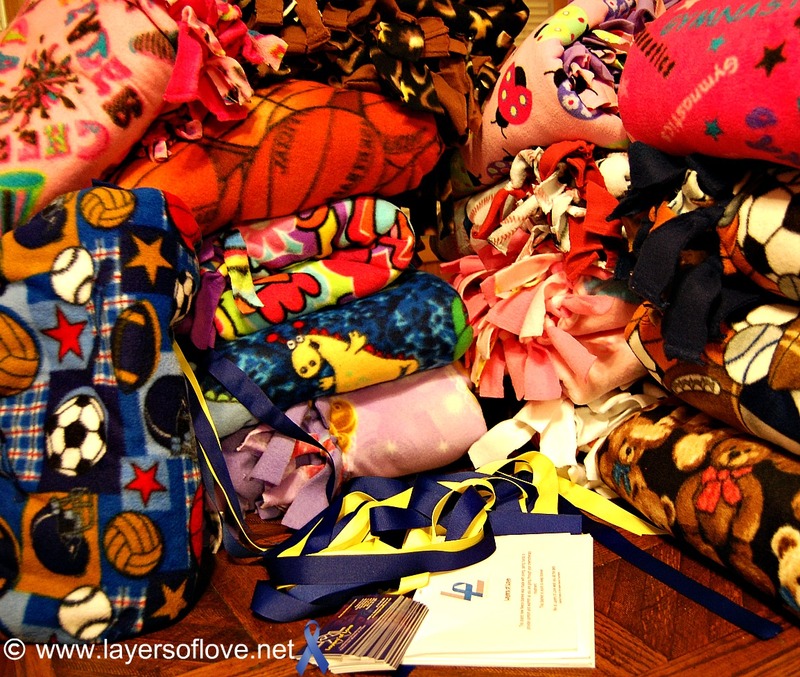 Today we are very happy to say that Layers of Love will ship out the first of what we will hope will be many shipments of child-sized fleece blankets to the Isaiah Alonso Foundation. The foundation is going to hand them out to children who have cancer to provide them with comfort and warmth as they go through their treatments. We are thrilled to be working with this wonderful foundation. Blankets waiting to be packaged up to ship out. The blankets are all packed in boxes and ready for shipment. Our blanket drive continues. 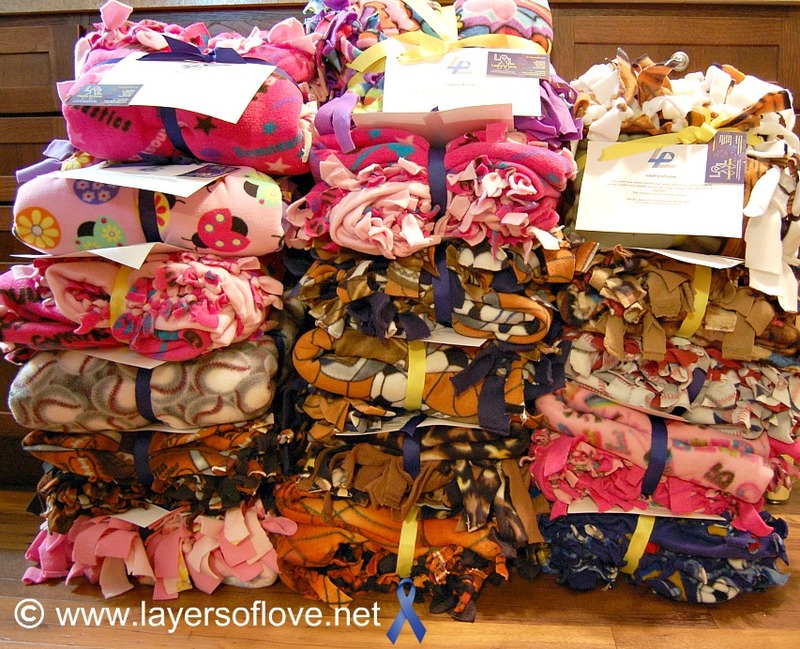 As long as their are chemotherapy patients, whether a child or an adult, we will continue to collect brand new fleece blankets to give to the patients to provide them with comfort and warmth while they are going through treatment. 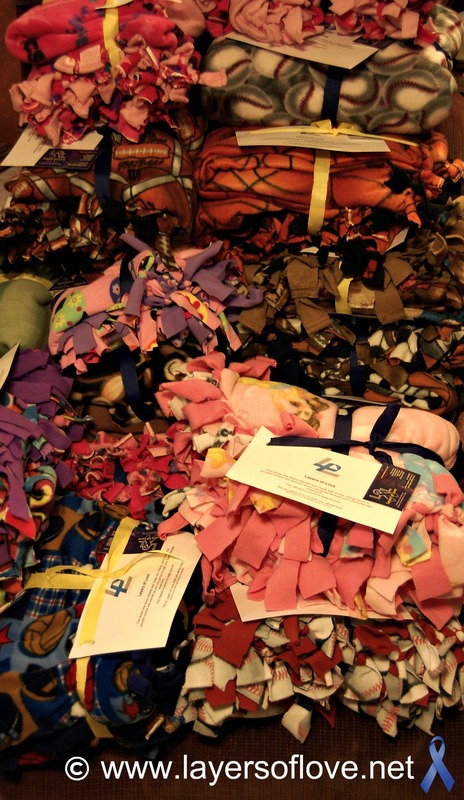 We could not do what we do without the generous donations of both fabric, and blanket kits from our friends all over the United States and the globe. We have received donations from as far away as Ireland. We are very grateful of your continued support. If you would like to donate to us please see the FAQ and Donation Guidelines tabs above. If you have any questions please contact us at donations@layersoflove.net or leave a comment below. Thank you. 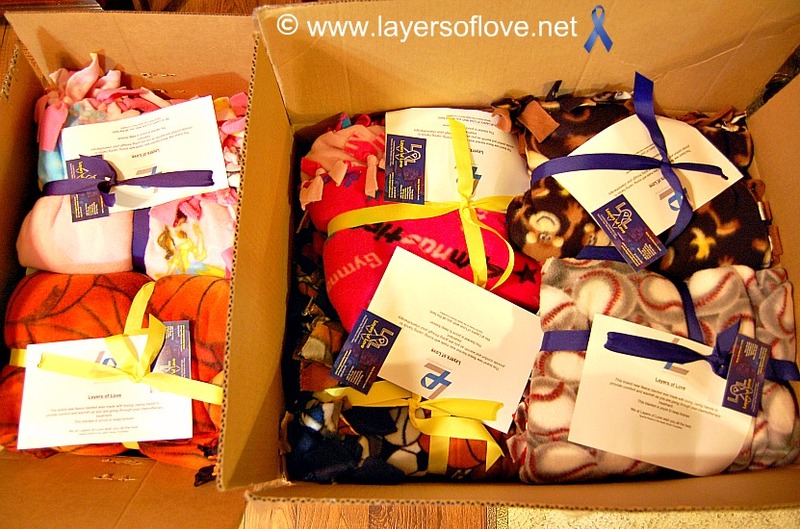 This entry was posted in Donations and tagged blankets, cancer, chemotherapy, Children, comfort and warmth, delivery, Donations, fleece, foundation, giving, helping, Isaiah Alonso Foundation, kits, pediatric, thank you, The IAF. Bookmark the permalink.